Ace City offers ready to move 2 and 3 BHK apartments in Greater Noida West with all the modern and essential amenities. 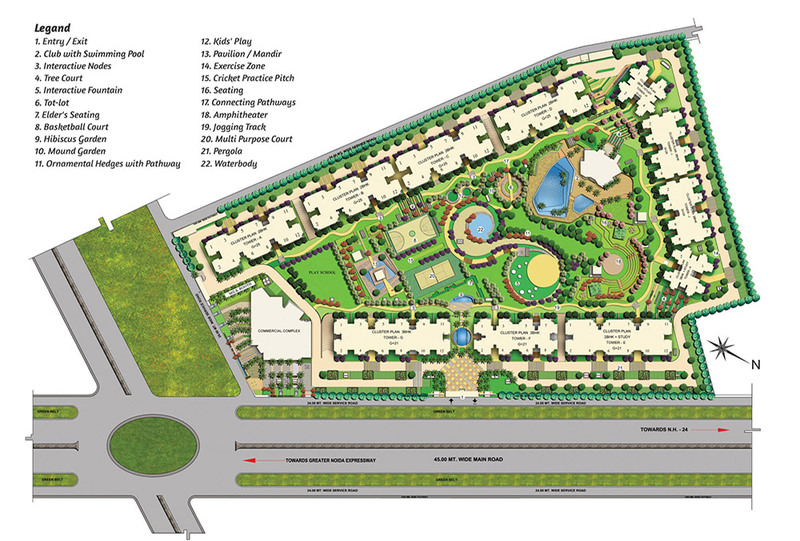 The site plan is designed with beautiful landscape and immense space for open area. Architect of Ace City is S. Bose Landscape Consutlants. Established in 2002 and led by Sanju Bose - B.Arch, M.Arch (landscape) S Bose is one of the experienced and leading firms of Landscape Architects.